Provide comfort for the family of Margaret Jenkinson with a meaningful gesture of sympathy. Services for Margaret Davis Jenkinson, 93, of Enid, will be 10:00a.m., Friday, March 29, 2019 at North Garland Road Church of Christ. Burial will follow in Riverview Cemetery in Kiowa, Kansas. Visitation will be held Thursday, March 28 from 6:00-7:00p.m. at Ladusau-Evans Funeral Home. Margaret Davis Jenkinson died with family surrounding her on Saturday, March 23, 2019. Margaret loved her Lord and Savior, her family and her friends. But there was one thing she did not like and that was horses! There was probably a good reason for that. Her mother Elsie Kinley Davis and her father Ora Carlton Davis loved horses and used them daily on their ranch southwest of Norwich, Kingman County, Kansas. May 13, 1925, dawned brightly and Ora gathered up the boys, Wendell and Erwin, and daughter Frances, and his very pregnant love of his life Elsie onto their horses to gather cattle. Elsie didn’t tell Ora she was having labor pains! So to everyone’s surprise, when they went in for lunch, Elsie soon delivered baby Margaret, who always said her first pony ride was her last! Six years later baby brother Allan joined the family. Due to Ora’s asthma and poor health, the family left Kansas and settled in Boulder, Colorado, for a few years, and continued to try to find a climate more conducive to his illness. While in Idaho, Ora became ill and died leaving Elsie with three grown children, Wendell, Erwin, and Frances, and Margaret (11) and Allan (5). Members of the family urged Elsie to put the two youngest up for adoption but Elsie was adamant that “These are Ora’s babies, and I will raise them.” Moving back to Norwich, Elsie worked two jobs and raised the two youngest children. Margaret attended grade school in a one-room school near Norwich, then in Boulder, CO. After graduating from Norwich High School in 1943, she earned a teaching certificate at Wichita State University and taught school for a year. During this time she went on a blind date with a handsome “older” man from Oklahoma, Manford Jenkinson. He told her he would be back when she grew up! And he did in an Army/Airforce uniform. They dated, he proposed, she accepted, and February 4, 1944, they were united in marriage. Manford was stationed in Enid where they established their first home. He was stationed in Illinois and she went home to her mother pregnant with their first child. Fourteen-year-old brother Allan drove Margaret to the hospital in an ice storm to bring Carol into the world. Manford hitchhiked to Harper from Illinois to see his wife and daughter, stayed a day and hitchhiked back. Following the end of WWII and Manford’s discharge, they settled on the farm northeast of Burlington raising wheat, alfalfa, cattle, and beautiful daughters, Carol, Faye, and Sue. Manford and his brother Virgil were partners in farming and in everything, even being baptized the same day along with their wives, Margaret and Anne. All four were devoted Christians and leaders in the Riverside Church of Christ in Burlington, Ok. Margaret was well-known as a Bible scholar and enjoyed teaching Bible classes and sharing God’s love and grace. Margaret worked many years at the Burlington Post Office and helped Manford on the farm. She was an excellent cook, seamstress, teacher, and belonged to a quilting club, and home extension club, but Margaret considered herself an “observer.” She worked and observed farm activities, church activities, her daughters’ activities, her seven grandchildren’s activities, and 15 great-grands’ activities and one great-great grandchild and loved every one of them. She and Manford traveled miles to attend and support all of them. After 65 years of marriage she lost her beloved husband Manford, she moved “back” to Enid settling into a little house on Mulberry Street. What a blessing she was to her family and to the North Garland Church of Christ. Declining health prompted her move to assisted living, then seguing to Garland Nursing Center. Memorials can be made to the Burlington Education Foundation or North Garland Church of Christ with Ladusau-Evans Funeral Home serving as custodian of the funds. Condolences may be made and services viewed at www.ladusauevans.com. 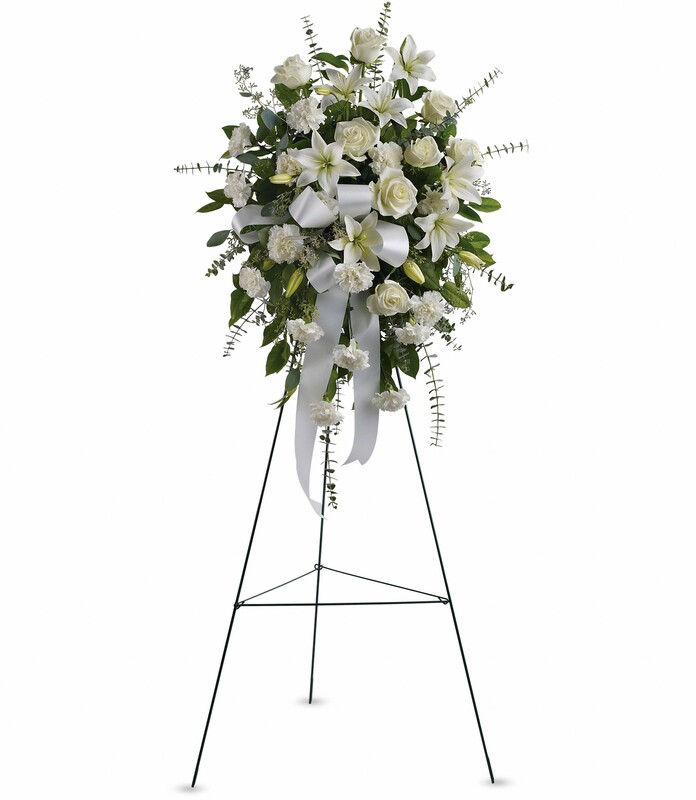 To send flowers in memory of Margaret Jenkinson (Davis), please visit our Heartfelt Sympathies Store. 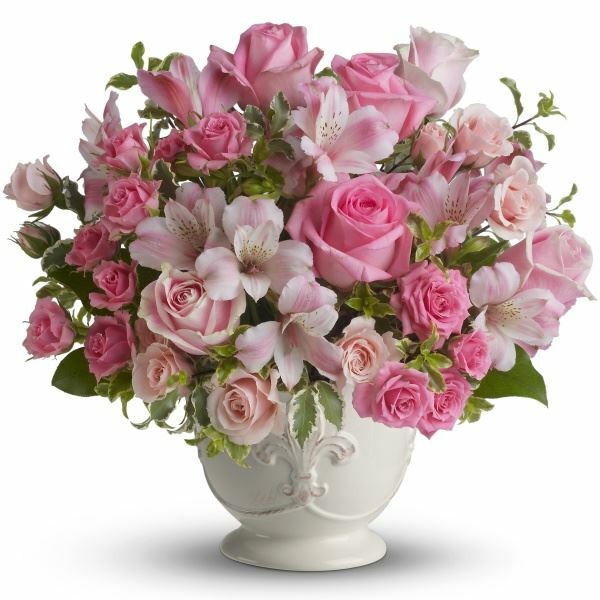 Jerry and Veda Holt and Deborah Tennison have sent flowers to the family of Margaret Jenkinson (Davis). Margaret was special to us and a great example for us. Our prayers are for your comfort and peace. 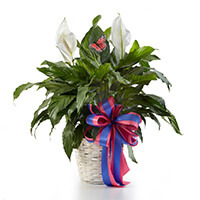 Jerry and Veda Holt purchased the Classic Peace Lily for the family of Margaret Jenkinson. Heartfelt Sympathies Store purchased the Sentiments of Serenity Spray for the family of Margaret Jenkinson. 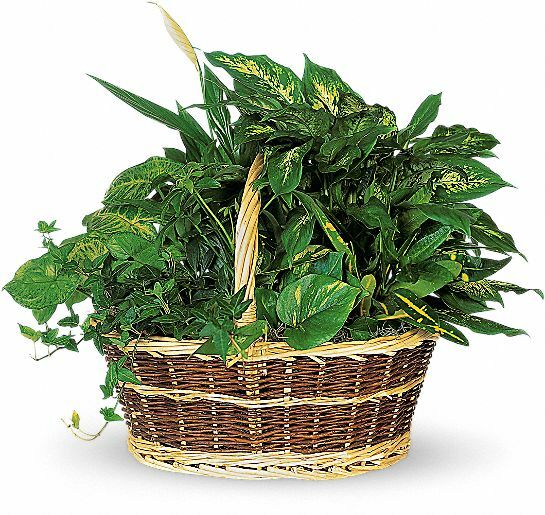 Heartfelt Sympathies Store purchased the Large Basket Garden for the family of Margaret Jenkinson. Deborah Tennison purchased flowers for the family of Margaret Jenkinson.